Hard-hitting industrial cyber rockers BAAL were on fire at the Bayside+Genocide 2010 event on October 10. They were joined by over 20 high quality bands from indy scenes across Tokyo. 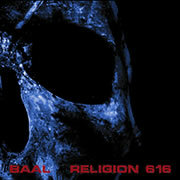 BAAL have been around for a number of years and have several international tours to Europe and Australia under their belt. The band is working on a new CD, which should deliver another dose of powerful music to its fans. Once again, excuse the film and audio quality – that’s just my little camera melting under the aural onslaught. Great band.